With the holiday season already upon us, we’re turning our focus to a nostalgia-soaked title sequence that’s been making millions of us feel warm and fuzzy for generations. 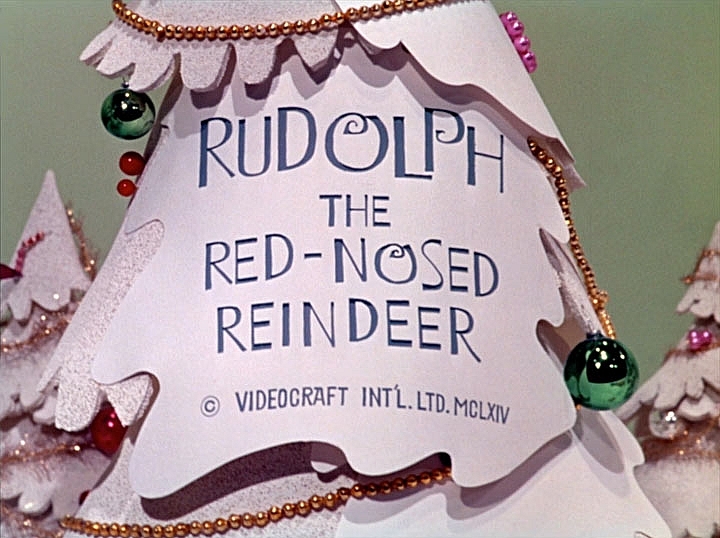 Over the last five decades, the now iconic 1964 Rankin & Bass film, Rudolph, the Red-Nosed Reindeer, has become just about as an important part of Christmas as eggnog, nutcrackers and snowmen. Update: Breeder wins the prestigious APDG Award for Title Design for their ADBNE title sequence! Congratulations to the Breeder team! For the Analogue/Digital conference in Brisbane, Breeder created a sensual journey with a refined and delicate aesthetic to honour the concept of “double exposure”. Glimpses of models stripped bare, their soft torsos and curves become moving canvases to host striking urban and natural textures, creating an emotive and intimate piece that ascends to an almost fantasia-like crescendo. Not only is he the most productive title designer working in France today, Laurent Brett is also the only designer we ever met, or know of, who has had a puppet made of himself. Meet this chameleon of a designer, able to master any style and technique. We interviewed Laurent in studio Sabotage in Paris (what an inspiring place to work! ), where he talks about his work as a title designer, about his heroes - graphic designers Peter Saville and Vaughan Oliver. A favorite part is when Laurent references the Main Titles done by French luminaries Jean Fouchet and Michel Saignes in the '60s and '70s. The Frank Miller's Sin City-inspired title sequence for Florent Siri's 2005 thriller Hostage places the viewer right in the center of a high profile crime scene taking place in one of L.A's upscale suburbs. The action scene - rendered in stark black-and-off-white, with deep blood red as the only supporting color - is frozen is frozen in time. As the camera pans across the scene, alternating between wide and close shots, the tension builds slowly but surely, culminating in the film's climactic opening scene. Last chances to see the Watch the Titles one hour screening program in Europe: in Amsterdam (21/08), in Prague (31/08), and Germany (dates t.b.a.). Influenced by the tradition and form of Arabic calligraphy, Juan Behren’s opening titles for Visual Arabia 2013 explore the beauty and mystique of this centuries old form of communication and art. Watch the Titles editor Rani Nugraha has a chat with the Computer Programmer turned Motion Designer about learning Arabic script, reigning in ideas, and the complexities of being ambitious. The title sequence for Clear History does exactly what it should — perfectly evoke the meaning of the title and plot of the movie into strikingly symbolic visuals. The deceptively simple-looking opening and closing titles elevate the viewer into the state of mind of the film and the story experience. Creative Director Aaron Becker takes us behind-the-scenes and discusses cascading menu's, collaborating with Larry David, and ensuring that titles tell a story. Plus, see the original pitch concepts, storyboards and motion tests. The fuss about the annual Main Titles for the OFFF event in Barcelona might seem like a bit of a hype. But at least it's a substantiated hype. And it's a daunting challenge for any designer to live up to it. Especially true when you're a total newcomer to the scene, like From Form. But these guys delivered. This new studio caught everyone by surprise with a meticulously designed short live action film about a Victorian collector with 46 Titles embedded in the scenes! Watch the Titles presents a first hand recap of From Form's presentation at OFFF. Plus –sizzling hot off the press– From Form's Making Of video that shows the process from sketch to presentation in a nut shell. We were immediately struck by the atmospheric Main Title for Vikings, with its darkly lucid stream of impressionistic images that seem to have been pulled straight out of the cauldron of our collective unconscious. We got in touch with Creative Director Rama Allen, who you might remember from the stylistically related and much-lauded True Blood Titles. Rama talks about our “vestigial need” for legend and myth, his holistic approach to pitching, offers 3 priceless tips on how to get those creative juices flowing, and shares a unique Behind-The-Scenes video. Introducing Manija Emran, typographer. Ever since we first saw the process for the end credit sequence for Rango, Manija's beautiful hand-drawn Western-style typography struck a massive chord here at Watch the Titles, and we've been following her work since. Formerly at Prologue, where she created memorable typography for films such as Robin Hood, Breaking Dawn and Fright Night, Manija is now a CD at The Mill+, where she developed an intricate typographic Main Title concept for the HBO doc Manhunt: The Search For Bin Laden. With her family's roots in the Middle East, she knew that this project was going to be special, and very personal.